• 25% of men with cancer who are in a relationship and rarely or never talk to their spouse about their feelings in relation to their cancer say this is because they want them to think they can "handle it"
Men going through cancer treatment say that the illness makes them feel like less of a man, according to new research by Macmillan Cancer Support. The YouGov-conducted survey of more than 800 men with cancer revealed that one in five men with cancer experienced a loss of masculinity while they were going through treatment. While one in six say they feel like "less of a man" since they were diagnosed. 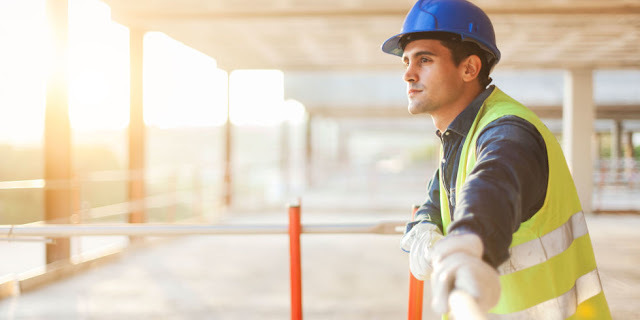 To combat these, and other issues around male cancer, Macmillan is launching a campaign with the building and construction industry, bringing cancer support to men from the sector. Talking about our feelings is important in many scenarios, but it's particularly helpful when it comes to cancer. Yet half of men with cancer who are in a relationship rarely or never talk to their partner about the emotions in relation to the illness. Of these, 25% say it is because "they want them to think they can handle it". While a similar amount of respondents say they prefer to keep their concerns to themselves because they don't want their partner to feel pity for them. But the research indicates these men are really suffering emotionally. Half surveyed reported anxiety while going through treatment and one in four said they had symptoms of depression. 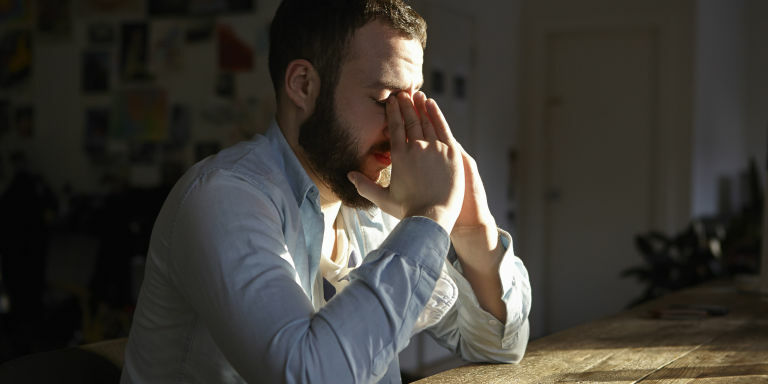 The new research, conducted by YouGov and including more than 800 men with cancer, also suggests that many men with cancer are facing an emotional burden following their diagnosis, with almost half (49%) of men surveyed reporting anxiety while they were going through treatment, and one in four (25%) experiencing feelings of depression. Antoine Henningham, 39, a showroom manager at Benchmarx Kitchens & Joinery in London was diagnosed with bowel cancer in 2007. He says the diagnosis made him feel vulnerable and he wishes he'd confided in friends and family more during the journey. He says: "When I was diagnosed, I just shut down. I was fortunate to have my Aunt there because when I heard the 'C' word I took nothing in. While I was going through treatment I saw myself as vulnerable and my physical appearance deteriorated, and I wasn't as open as I should have been because I thought people would view me differently, and treat me differently, but they didn't. Lots of people have been through cancer and are accepting. It helps to talk and my family helped me stay positive and it was nice to have people to bounce stuff off. Macmillan were really helpful emotionally and financially, they helped me understand cancer and my situation, and appreciate what I was going through." So today the charity is calling on men to seek the support they need. Senior Macmillan Information Nurse John Newlands says: "Cancer can affect men in ways they didn't expect, like a loss of masculinity and the feeling that you are losing who you are, but a life with cancer is still a life. By 2020, almost one in two people will get cancer at some point in their lives, and with more and more people living longer after cancer, we want people to have a better understanding of the reality of cancer diagnosis and to find the support they need." Macmillan Cancer Support is starting the conversation by bringing together six of its partners from the construction sector: Benchmarx Kitchens & Joinery, ISG Plc, Selco Builders Warehouse, Topps Tiles, Travis Perkins, and Wolseley UK, to form the 'Construction Cancer Coalition'. Through this campaign, Macmillan hopes to reach and empower men from the sector and beyond to take control of their health and seek the support they need.